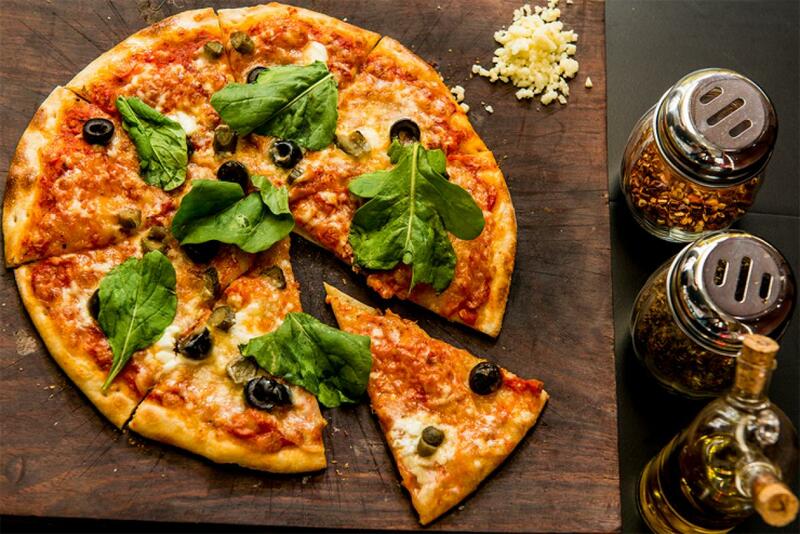 Now, Pizza Gets a Healthy Makeover, 'Junk food' pizza gets a nutritional makeover! British scientists claim to have developed the world's first nutritionally-balanced pizza. 'Junk food' pizza gets a nutritional makeover! British scientists claim to have developed the world's first nutritionally-balanced pizza. Pizza is widely regarded as a member of the junk food gang. But, researchers say pizzas and many other nutritionally-dubious foods can be made nutritionally ideal. "Traditional pizza should be a low-fat meal containing at least one portion of vegetables, so mainly made from ingredients associated with better cardiovascular health," said Professor Mike Lean, a physician and nutritionist in the School of Medicine at the University of Glasgow. "However, to enhance shelf-life, commercial pizza recipes today include much more fat and salt than desirable. Until now, nobody has stopped to notice that many essential vitamins and minerals are very low or even completely absent. From a nutrition and health perspective, they are hazardous junk,"
Lean said.The team of scientists, which also included Dr Emilie Combet, Amandine Jarlot and Kofi Aidoo of Glasgow Caledonian University analysed a total of 25 Margarita pizzas. They varied widely in calorie content, ranging from 200 to 562kcal. Few approached the 600kcal energy requirement that would make it a proper meal, so people may tend to eat something extra. Only six of 25 pizzas tested contained too much total fat, with eight having too much saturated fat while only two boasting a desirable level. The amount of sodium in most of the 25 pizzas was substantially over the recommended limit, with nine containing more than 1g per 600kcal serving. To constitute a healthy nutritionally-balanced meal, at least 45 per cent of the energy intake should come from carbohydrates. Only five failed to meet this requirement, due to combined high fat and protein contents. Vitamin and mineral content information was mostly absent from the packaging, with only five providing this information in detail, and three having basic information. None met the recommended value for iron, vitamin C and vitamin A. Researchers then joined forces with an industrial food producer to modify a modern pizza recipe: reducing salt, adding whole-wheat flour, adding a small amount of Scottish seaweed to provide flavour, vitamin B12 and fibre, iron, vitamin A, vitamin B12 and iodine, adding red peppers provided extra vitamin C.
The proportions of bread base to Mozzarella cheese was adjusted to correct the carbohydrate/fat/protein ratios and minimise saturated fat content. After cooking, it was finally analysed in the laboratory. The world's first nutritionally-balanced pizzas were subsequently marketed by food company Eat Balanced.com, and three flavours are available in various UK supermarkets.